Toys are so evocative; they provide prompts to childhood memories and a window into our imaginations. 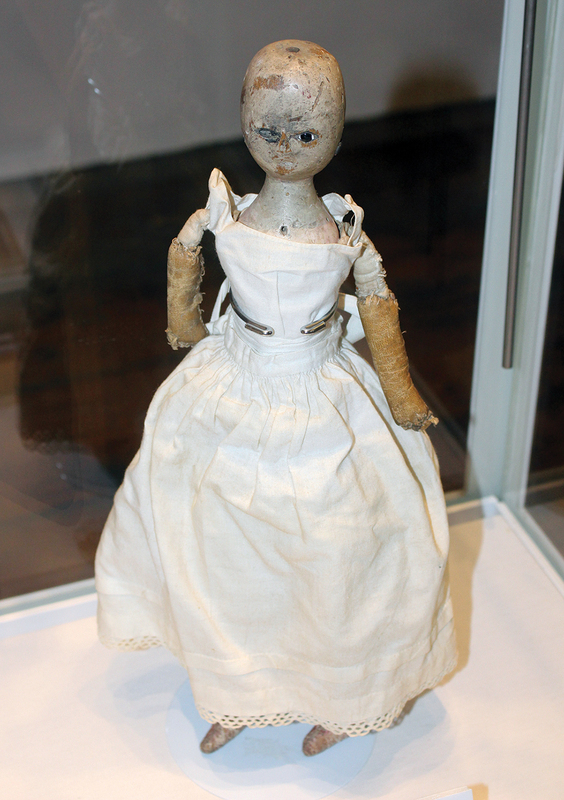 The current exhibition Dolly Mixture A Pageant of Dolls Through the Ages at Horsham Museum & Art Gallery looks at the diversity of dolls made over the centuries. 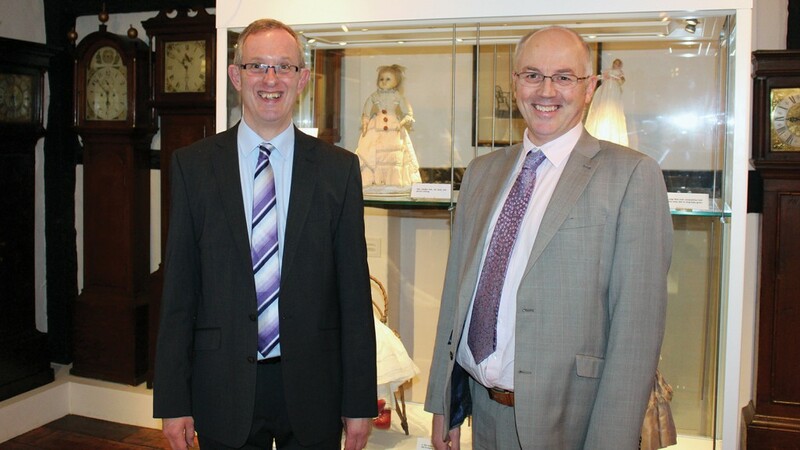 In support of the exhibition, Toovey’s specialist toys valuer, Christopher Gale, will be at the museum this coming Saturday morning, 21st February, to provide free auction valuations and advice on your dolls and collectors’ toys. History, heritage and objects have the power to transform our lives. They provide us with a common story. Horsham Museum is the cradle in which that common story is held, preserved and told – a narrative which is at the heart of our community. I tag along with Chris and exhibition curator Jeremy Knight as we view the show and their enthusiasm is infectious. Jeremy explains, “I decided on the title Dolly Mixture because dolls come in all shapes and sizes and have been made from wood, cloth, wax, porcelain and plastic. They have been a constant feature in childhoods over centuries.” The play on words recalling the colourful variety of those ever-popular Dolly Mixture sweets isn’t wasted on Chris or myself. Wooden dolls date from the earliest times. Dolls have been found in Egyptian tombs and Greek and Roman children are known to have played with them. I comment on an 18th-century doll whose head appears to be of carved wood and painted gesso. Jeremy Knight responds enthusiastically: “That’s right. 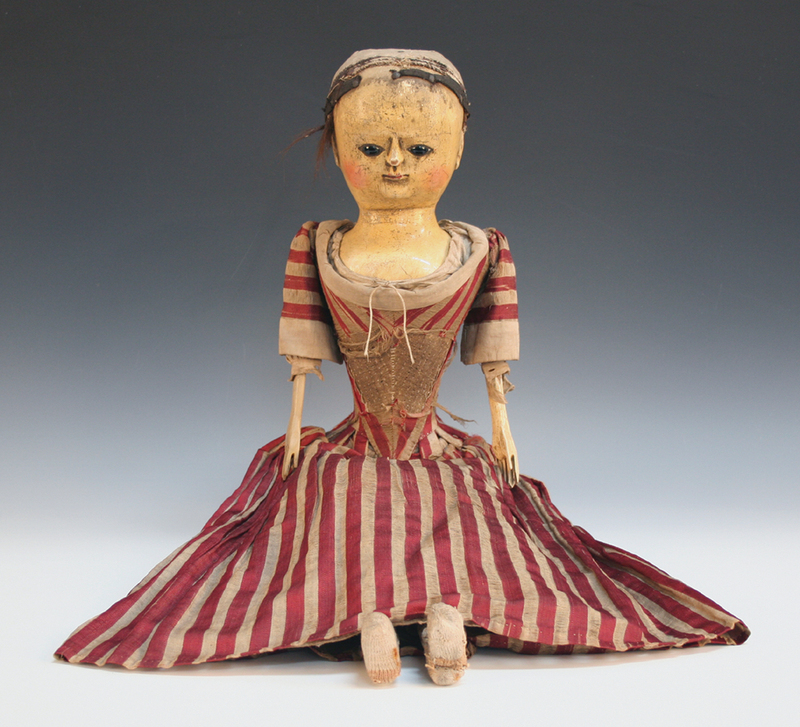 This 1760s doll was found under the floorboards of the medieval hardware shop Glaysher’s, which used to be in Middle Street, Horsham.” The shop was deemed to be in poor condition and was dismantled in 1967. Fortunately, it is preserved at the Weald and Downland Open Air Museum at Singleton. Jeremy continues, “The dress is not contemporary to the doll. We don’t know if this is the dress she was discovered in, or whether it is a later addition by the Museum in the early 1970s.” I ask if the doll is made solely of wood. “The arms and legs are kid leather,” replies Jeremy. Chris Gale adds: “We auctioned a very similar 18th-century wooden doll at Toovey’s for £5600, despite having replacement arms and legs, other alterations and problems of condition. The black glass eyes and carved and painted facial details are typical of the rare examples of this date. 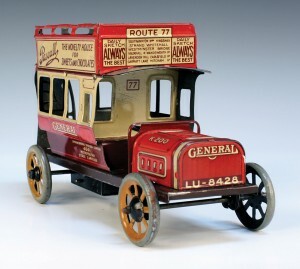 People are often surprised and delighted by how valuable their old toys are!” I am reminded of the wealth of Dinky and Corgi vehicles, model trains, tinplate and clockwork toys which accompany the dolls and teddy bears on the shelves of the toys department at Toovey’s. Dolly Mixture is currently on show at Horsham District Council’s Horsham Museum in the Causeway, Horsham. So come to play with toys specialist Chris Gale between 10am and 12noon this Saturday, 21st February 2015, for a morning of fun and free pre-sale valuations. Who knows, your old toys could just be your hidden treasure! A third of the seller’s commission for items seen at the event and subsequently auctioned by Toovey’s will be donated to the Friends of Horsham Museum. So sellers would receive the full amount they would normally get but they would know that they have helped the Museum as well. “Funds received this way will go towards the conservation of the historic toy collection,” says Jeremy Knight, “enabling future generations to show their children what they played with when they were young.” For more information on Dolly Mixture A Pageant of Dolls Through the Ages, go to www.horshammuseum.org or telephone 01403 254959. By Revd. Rupert Toovey. Originally published on 18th February 2015 in the West Sussex Gazette. Next Next post: Anyone for Tea?